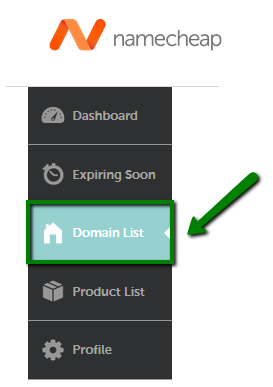 Our FreeDNS service can be used for all domain names registered with other domain Registrars. 1. Sign In to your Namecheap account. We will then try to verify if your domains are correctly pointed to our nameservers by monitoring your domain's DNS settings. FreeDNS service will be activated once we ensure everything is set properly. Please keep in mind that TXT record authorization is the default authorization method. 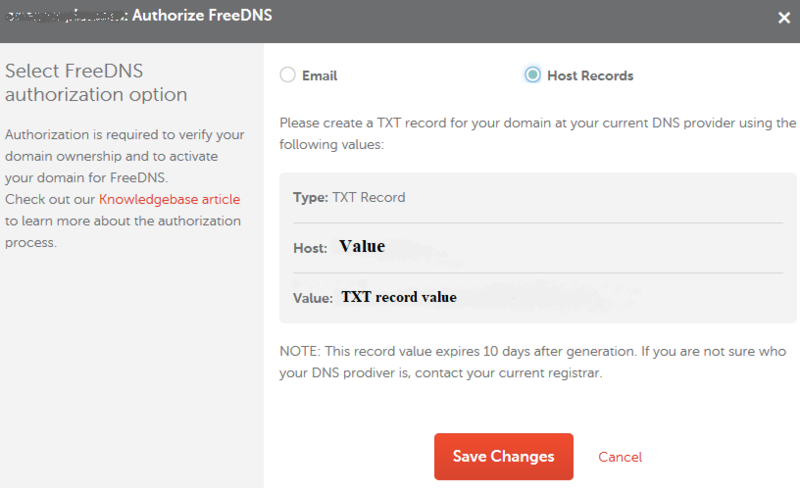 This means that once you enroll your domain/subdomain in FreeDNS, you should authorize FreeDNS by creating a TXT record with the values provided in your account’s Dashboard/Domain List. 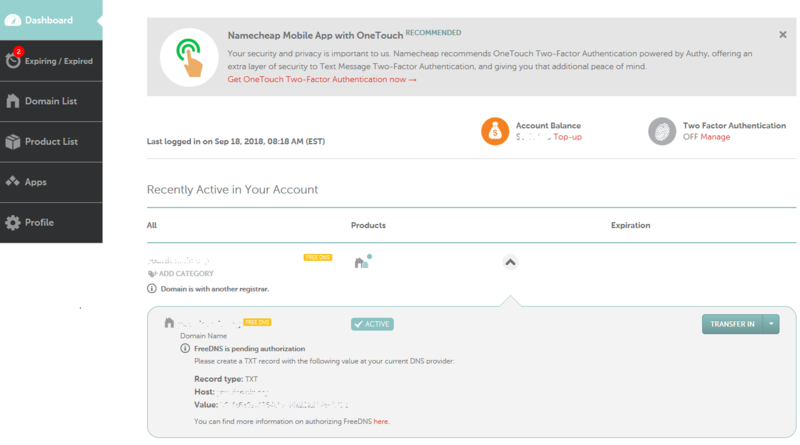 You may also select authorization via email in your Namecheap account. The system will send a verification email through which you can activate FreeDNS for your domain. For security reasons, an authorization link cannot be sent to any email address other than those shown as your chosen authorization email options. The authorization link is valid for 48 hours only. NOTE: If you are having problems with email verification, please contact our Support Team for assistance. NOTE: A TXT record expires 10 days after being generated. If your TXT record has expired, you will need to select the authorization method once again and create a new TXT record. Looks like you have selected another authorization method for FreeDNS. Please complete authorization using the previously selected method or contact our Support Team for assistance. 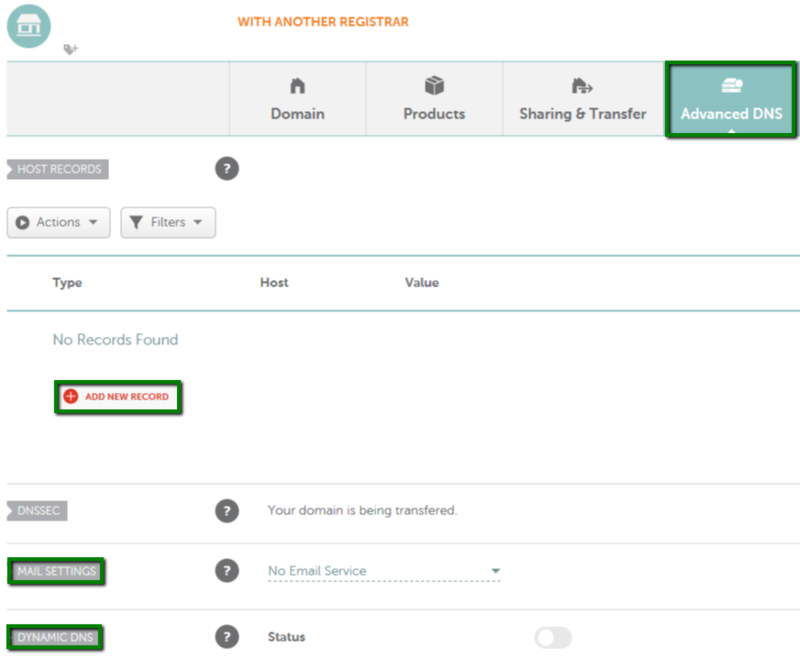 NOTE: Please keep in mind that after setting host records in your Namecheap account, you should change nameservers on the Registrar’s side to our FreeDNS. Without adding host records at Namecheap, your services will stop running. Additionally, your services will experience a downtime after the settings are added. DNS propagation typically takes 24 to 48 hours, but in some rare cases, it may take up to 72 hours. How do I authorize FreeDNS? Can you make DNS active for me before verifying my host settings?